Google’s Policy Change: Trolls on YouTube Comments Again? Google+ changed their name policy to allow anonymity. Will the trolls will come back to YouTube comments now? Here's what's happening with the copyright claims from YouTube's update to Content ID for affiliate partners. The rules for using copyrighted gameplay footage on YouTube and monetizing those videos are a bit tricky. The YouTube Creator Playbook says we should post new videos on a schedule, but what is the best posting frequency? If you get a copyright strike against your YouTube account, how do you remove it? Here's 3 ways how to do it. 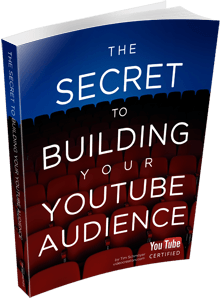 when you should create playlists and when you should take content to a new channel, how to move a bit further when your channel hits a plateau, building an email list of your YouTube subscribers, and more.